We can’t think of a more down to earth and unassuming, yet fascinating, country than Belgium. It’s been happily going its own way for over 175 years almost under the radar screen for many people. But Belgium is actually one of the most interesting places in Europe and it is is a shame that many people see it as a gateway rather than a place to discover, get to know and enjoy in its own right. Belgium’s historical importance to Europe, despite its small size, reflects a strategically important position at the juncture of some of the great powers of Europe, namely France, Germany and the Netherlands. It has been fought over the centuries, from Roman times to Waterloo, where Napoleon met his match at hands of the Duke of Wellington, and right up to the 1st World War. 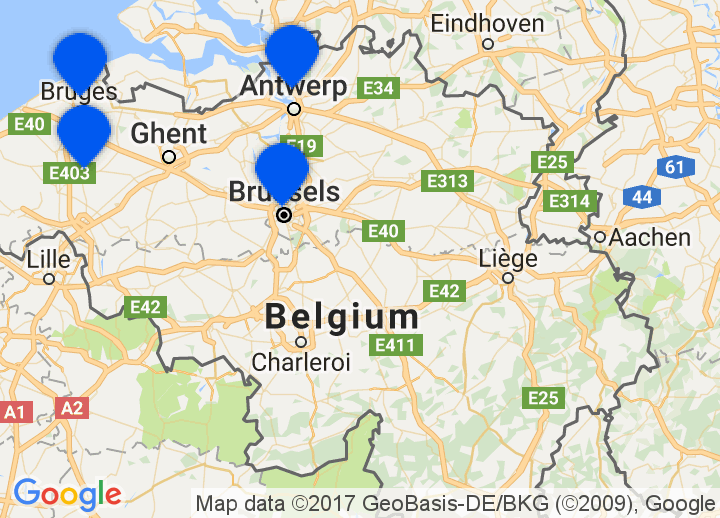 A selection of romantic hotels in Belgium, boutique Belgium hotels and cosy bed & breakfast in Bruges. How many countries of comparable size can boast picture perfect cities such as Bruges, Antwerp, Ghent, some of the best beer and cuisine in the world, three official languages and the unofficial title of capital of Europe in Brussels?